Welcome to Jim's Famous Sauce, a family tradition since 1927. 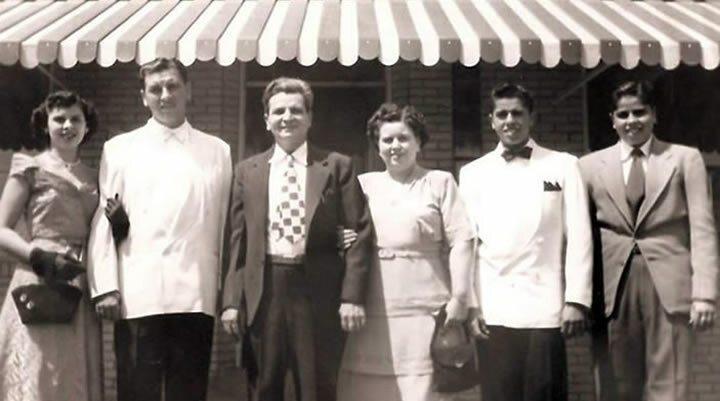 This 1949 portrait of Jim and his family was taken in front of the third of Jim's restaurants. As Jim would have it, the restaurant evolved into the landmark drive-in that it is today. 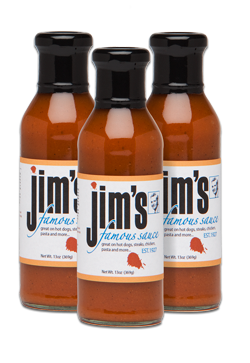 Make Jim's Famous Sauce a part of your family tradition. Order some today!